Goal Zero is well known for its solar products, but for those cloudy days, winter getaways or longer trips off the grid, the new battery range will help to ensure you never run out of power. 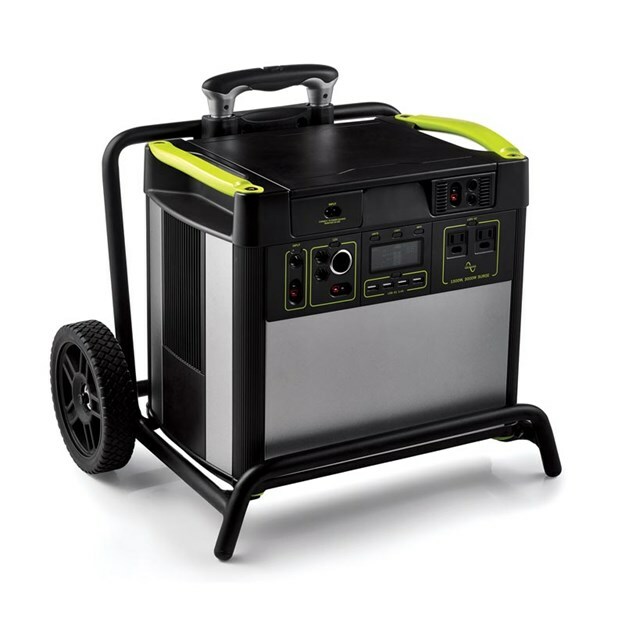 The latest from Goal Zero is its Lithium Yeti Range – a versatile portable power system offering a safe and clean alternative to the traditional gas generator. The entry-level Lithium Yeti 400Wh packs enough punch to power a weekend getaway. It has the capacity to charge a phone, a laptop or a 12V LED light for 140 hours. The next jump up is the Lithium Yeti 1400Wh, which has been designed for those tougher off-the-grid getaways. It has multi-stage surge capability, and it can power fans, fridges, filming equipment and more. The big brute is the Litium Yeti 3000Wh. It has its own wheels and a telescoping handle for mobility, and it can be used to power multiple devices at once. It's essentially backup power for your home (away from home). These three battery products are all compatible with the full range of Goal Zero solar panels, so you can really get off the grid and stay there.